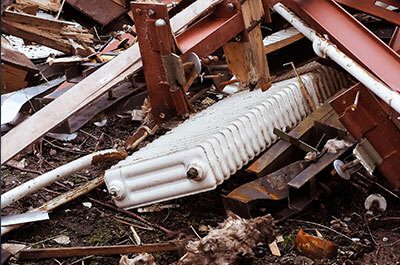 If you have debris in your building or around your property, we’ll clean it up. Whether you’ve made a mess with a demolition, or you have a waste leftover from a construction project, we’re the cleanup crew to call to get things in order once again. Make your mess vanish with our debris cleanups. Our crew will tackle your project—big or small—swiftly, so that you can continue construction. We’ll first provide you with a free quote for your project; then work with your schedule to determine the optimum timeframe for your cleanup; and then it’s time to get to work. With JRP Services, your space will be clean before you know it. JRP Services has been serving folks in the Houston area with demolition and cleanup services for over three decades. We’re a family owned and operated business, and we pour our expertise into every project that we do. You can also rest easy knowing that bonded and insured, in the case where there’s an accident. For larger jobs, we can bring in a skid-steer or front-end loader to remove debris from your site. For smaller jobs, it might come down to a shovel, wheelbarrows, and brooms. Regardless of the size of your project, we’ll bring the right set of tools to make your cleanup a breeze. Plus, we don’t just have the right tools, we have the experience to make cleanups efficient and thorough—after all, as we mentioned, there’s more than 30 years of experience behind the JRP name! We don’t just clear debris. We do it all. If you need demolition services or excavation services, we’re the company to call. On top of our debris cleanup services, we also provide full building demolitions, selective demos, excavation services, lot clearing, concrete removal, and more. Feel free to see our full list of demolition services. With JRP Services, one call does it all! If you’re looking for a cleanup crew, look no further than JRP Services. We’re Houston’s trusted demolition and cleanup experts. When you’re ready to get started, fill out our form or call us to get a free quote for your project.